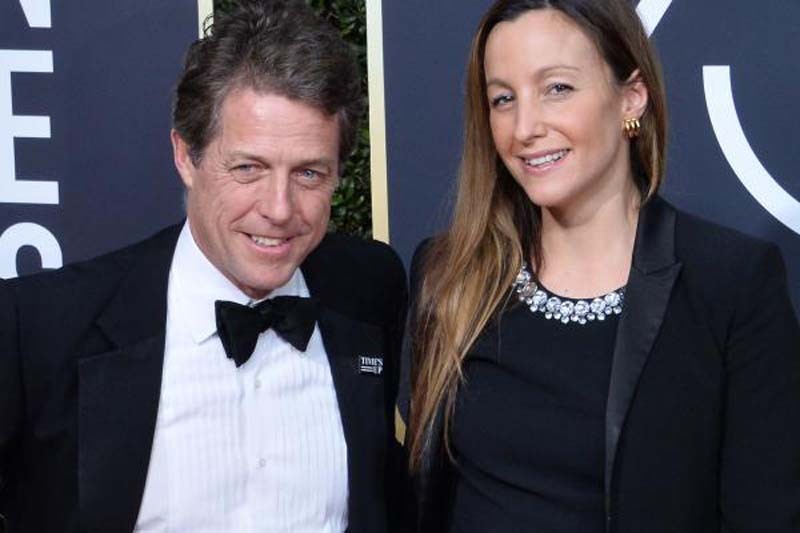 British actor Hugh Grant exchanged wedding vows with his longtime girlfriend, Swedish producer Anna Eberstein, in London Friday. The couple wed at the Chelsea Register Office in front of family and friends. Photos show Grant, 57, and Eberstein, 39, smiling and celebrating with their loved ones outside the venue after the brief ceremony. Wedding banns, a public announcement of an impending marriage, were posted last week. This is the first marriage for the star of Paddington 2 and Love Actually. Eberstein is the mother of three of Grant's children. He has two other kids with his ex-girlfriend, Tinglan Hong.